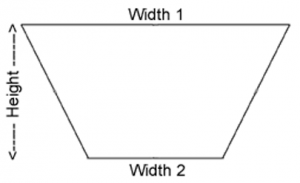 Trapezoid first surface mirrors are often used in applications where the light is being reflected at a 45 degree angle. They have the same high optical quality as our rectangular first surface mirrors. 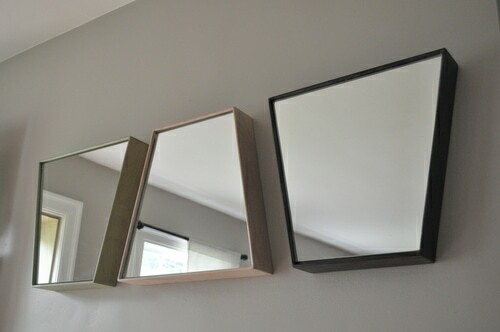 Also, just like our rectangular mirrors, the edges are sanded for your protection. Our size tolerance is typically +/- 1/16″ (1.5mm). Optical grade mirror that is 96% reflective. Film applied to protect the mirror before use. Use the form below to order a custom size. Trapezoid First Surface Mirror are cut and shipped immediately. Some of our customers include Sony, NASA, US Navy & Air Force, defense contractors, as well as the engineering & science departments of many universities.